The PVC badge clip is a simple and economical way to attach a badge or ID card. 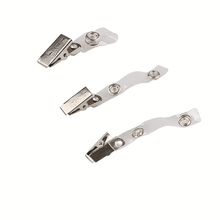 The badge clips are mainly made of PVC material, but the clips are plastic or metal. If you want colorful badge clips, the plastic clip is the best choice for you. Because the PVC badge clip is hard and durable, so you can reuse it and you just need to clip it to your clothing. 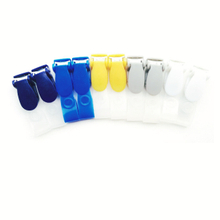 We also provide you with different sizes of PVC badge clips, so that you can match any lanyards or badge holders. 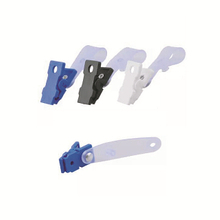 In general, the PVC badge clip is easy to clean, durable, not easy to destroy and not easy to fall off. 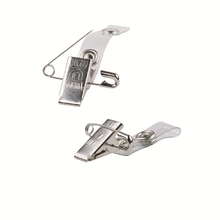 If you need PVC badge clips to hold two photo ID card, you can go to our other product lists to choose from. Each products is guaranteed, and we will give you the largest discounts. Give us a chance and we won’t let you down.